We’ve been known to cause quite the bassquake here in Phoenix and surrounding cities, but this May we’re bringing the bass all the way to Albuquerque, New Mexico! 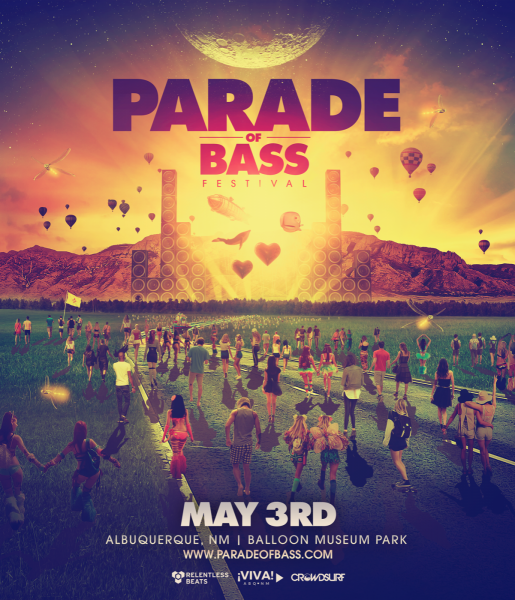 We’re proud to present our first ever Parade of Bass festival at Balloon Museum Park with SLANDER, Said the Sky, Wooli, and Wavedash providing the tunes. 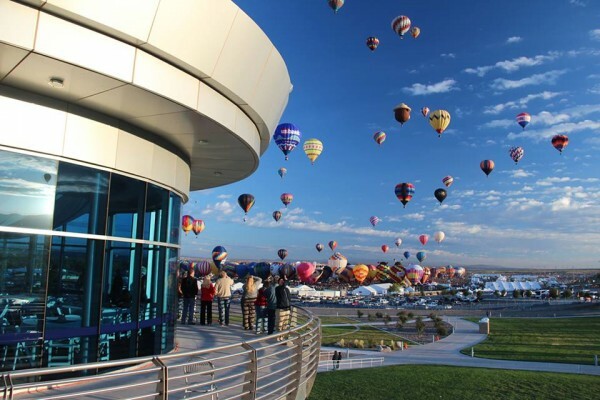 The museum opened in 2005 and has since welcomed over one million visitors from across New Mexico, the United States, and around the world, but we’re certain they’ve never seen it like this. Whether it be their electric performances, heartfelt production or lasting friendship, dance fans around the world are drawn to the magnetic duo SLANDER. Through their meticulous blend of emotional lyricism and savage drops, Derek and Scott have built a passionate family of fans along their evolution to the status of festival legends. Playing piano and various instruments since the age of eight, Colorado native Trevor Christensen has come forward with a fresh perspective on music. Bringing a melodic background and technical training into his work, he is able to capture everything beautiful about electronic music. His sound is what he hopes it to be, an experience: a captivating blend of moving bass lines and soaring melodies. Wooli is an East Coast producer who has quickly taken the scene by storm. In a short time, Wooli has gained support from the top artists and writers in the industry. With successful releases and premieres under imprints such as Owsla and Mad Decent, Wooli has proved his productions are worthy to take note of. WAVEDASH consists of three kids from Austin, TX who at only 18 are making heavy bass music at the caliber of artists twice their age. With multiple premieres on Nest HQ, and a release on OWSLA’s 2016 Winter Compilation, this group of young teens have a bright future ahead of them. Taking influence from artists such as Skrillex, Zomboy, and Porter Robinson, WAVEDASH has only begun to make their mark on the music industry. You won’t want to miss the inaugural edition of this beautiful bass festival. 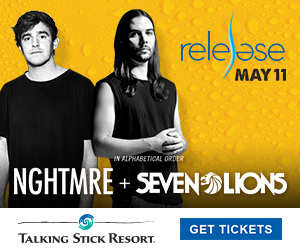 Get more info and grab tickets here.